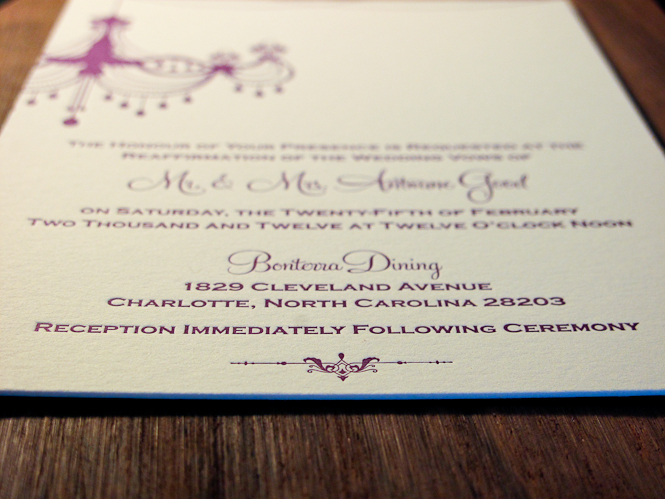 The main letterpress invitation vow renewal was printed on 220# Crane Lettra Ecru, which gives it more of that vintage look and feel. 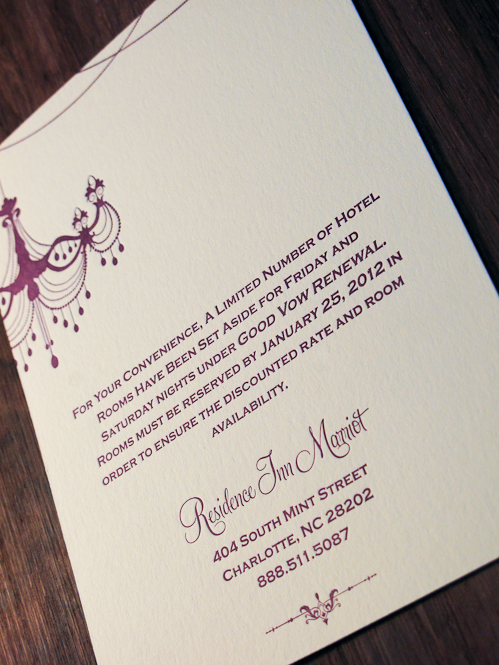 The accommodations and RSVP postcards were printed on 110# Crane Lettra Ecru, enclosed in matching Crane Lettra Ecru envelopes. 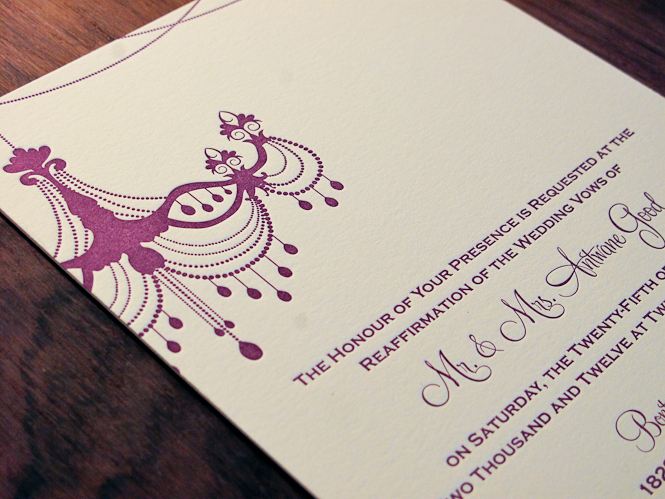 I thought the eggplant colored ink (Pantone 5115) went perfectly with the Ecru. Match made in heaven.